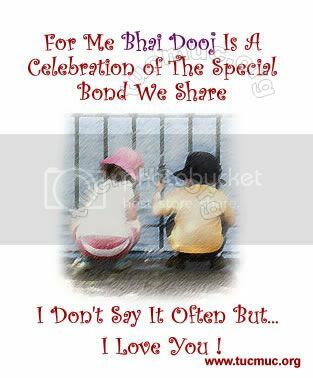 Bhai Dooj/Bhai Dhooj is a festival dedicatd to brothers and sisters in India. 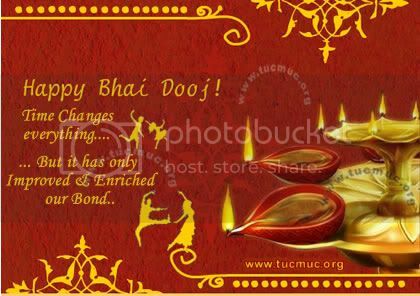 Sisters perform puja and tika ceremony as well as gets return gifts from brothers. It is also called in India at various places as Bhau Beej (in the Goa, Maharashtra and Karnataka), Bhai Tika (in Nepal), Bhathru Dwithiya, Bhau-deej, Bhai Phota (in Bengal), and Ningol Chakuba (in Manipur). 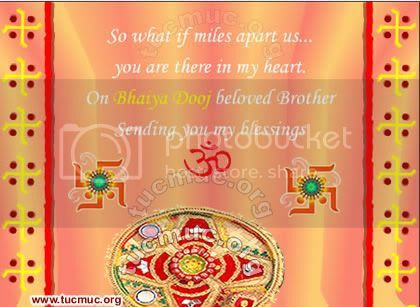 Bhaiya Dooj is a most prominent and legendary festival of India when sisters make a pray to God for their dearest brothers to get a long living and prosperous life. It is the most celebrated festival in India which is enjoyed two days after the main Diwali festival.